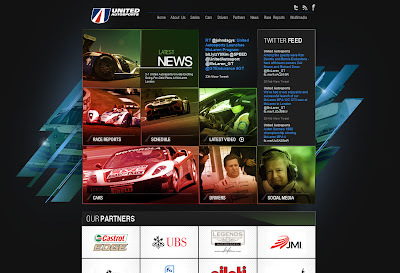 Happy to announce the new United Autosports website launched this week. Great job all around by the team, including our client who was just wonderful to work with. United Autosports wanted a site that could demonstrate all of the excitement of their sport while also taking advantage of all of the social communication activity and media that they have to share. Here at The Basement, Regan did such a fantastic job translating the design to something living and breathing and our partners on the project, Netmasons did a great job on the CMS. It's always fun to see a design go live. Looking forward to checking in from time to time to see what the UA Team is up to! Here's the same scene filled in. Oh, and I wanted to give credit to Brian Phillips for the work on character design and look/feel. Another pencil test for some work we're doing to remind college females to be careful about the information they post online. In this portion the girl is tweeting about how she's at the coffee shop and that she's bored because her roommates are out of town. In the background you can see our character Mr. Creeper (one of her many twitter followers) sneaking around the coffee shop up to no good. The idea is to attempt a more light hearted reminder as opposed to a preachy off putting approach. Here's a quick pencil test for a new set of animations we're doing. I've been doing so much design work lately it's fun to get back into animating. 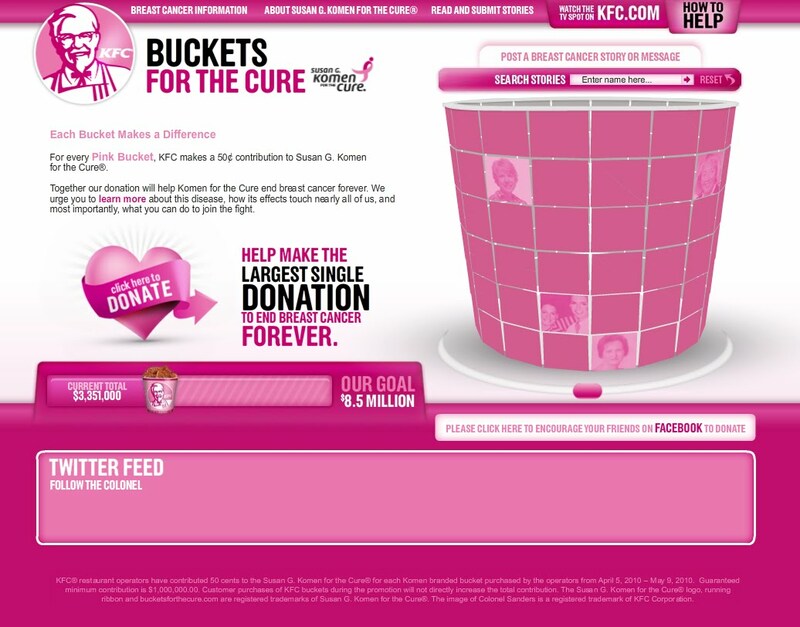 The last design that I worked on before I left for maternity leave was KFC's Buckets for the Cure Site. 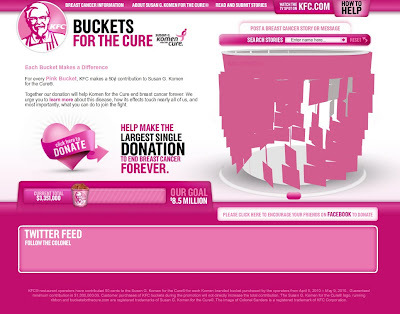 The purpose of the site was to accompany KFC's pink bucket campaign, during which a percentage of the sales from the pink buckets went to the Suzan G. Komen For the Cure Foundation. This site allowed people to read about and upload personal stories of breast cancer battles, get information on breast cancer, and donate to Susan G. Komen For the Cure. 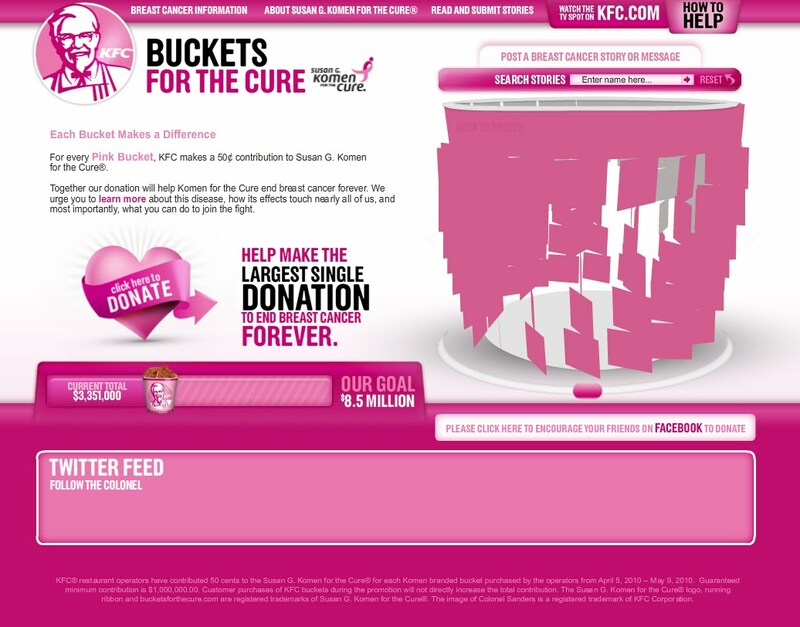 We worked with Creative Alliance, KFC, and Komen to create this site. Unfortunately, by the time I returned to work, the campaign had ended and the site was no longer hooked up to the system containing the stories and twitter feed. But you can get the general idea of what the site involved. 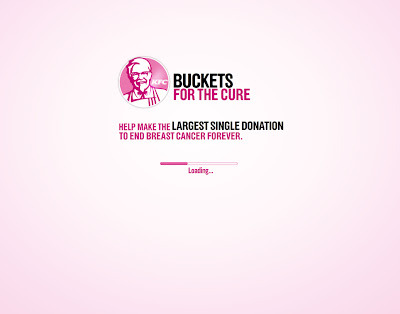 We wanted to present the gallery of stories in a unique way that reinforced the KFC pink bucket campaign. 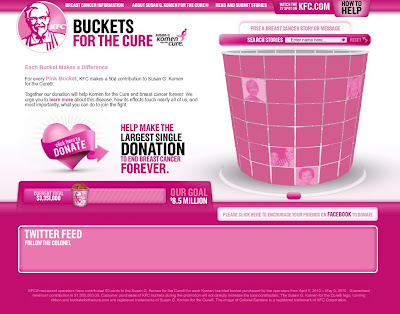 To accomplish this we created a pink bucket formed by photo squares. The uploaded stories were pulled from a database and populated the squares. You could spin the bucket to see other stories or search for someone specific. Once you clicked on a photo all of the photo squares flipped over and filled in the cracks, then the story appeared on the bucket. Once you selected a story you could use the arrows to flip through additional stories or you could return to the bucket photo gallery and choose someone else. Our flash team did a fantastic job. I especially loved the work they did with the bucket using Papervision. Nice work guys! For the last couple months we here at the basement have been testing and experimenting with augmented reality. Boy can it be finicky!!! We've definitely learned a LOT as a team about the capabilities and limitations of AR. 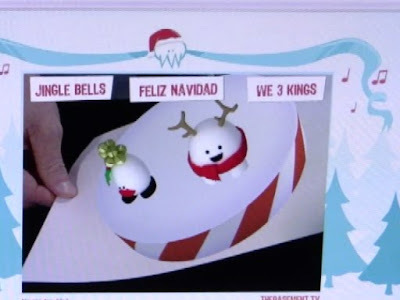 Today we are finally sending out our Holiday Greeting. If you have a webcam, it's a fun little thing to play with. Following the steps, print out the symbol and point your webcam at it. You should see a 3d stage and a couple characters pop up on top of the print out. You can move the print out around and look at the characters from all angles, or there are 3 songs that you can choose from and the characters will sing to you. If you don't have a webcam, you can still see what the buzz is about by clicking on the link at the top of the page. It will take you to a video that will show you what we've done. There is so much more to write about this project, but no time for that now. Great work Basement Team! It's been a fun challenge! Merry Christmas everyone! Hope that your holidays are bright! I am an animator, designer, and illustrator living in Indiana.